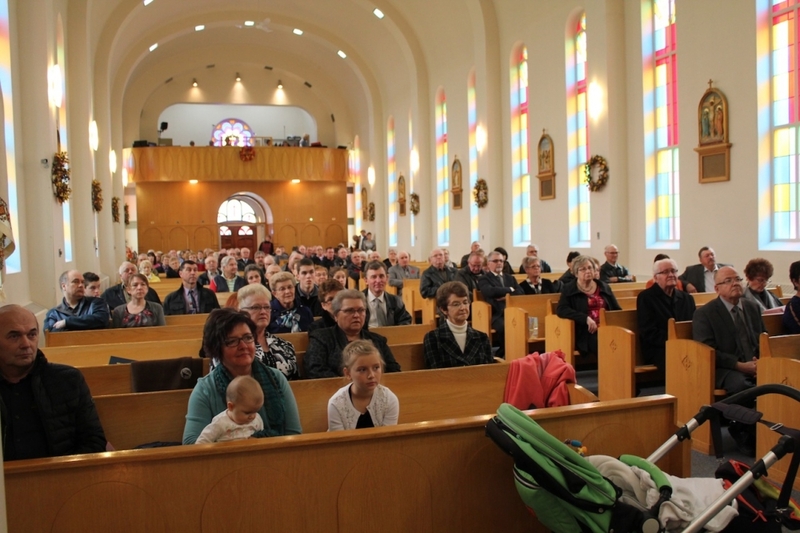 Although we are far away from the northern most entrance to St. Peter's Basilica at the Vatican, we were fortunate to partake in the Jubilee Year ceremony celebration right here, at a designated local Holy Door in Yorkton Saskatchewan! 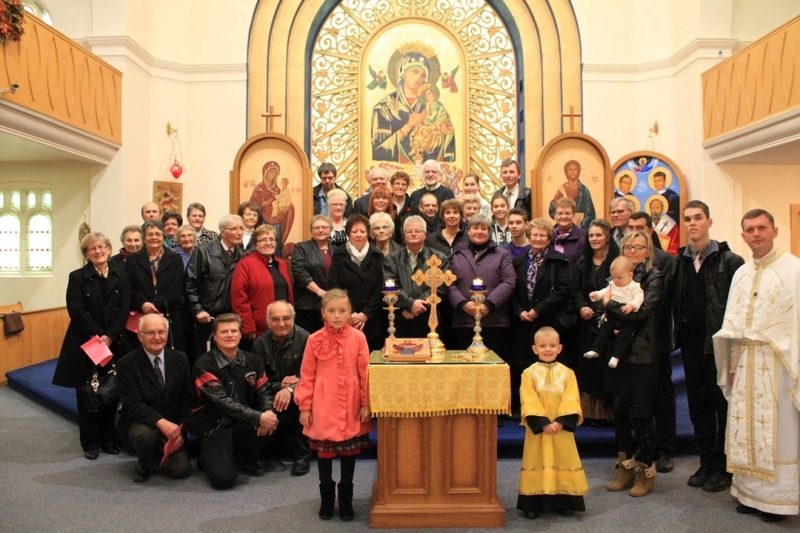 As part of a community that is thankful for Father Mykhaylo Khomitskyy's perseverance as a good shepherd concerning the care and wellbeing of his flock, we gathered at St. Mary's Church in Yorkton on Sunday, October 30, 2016. 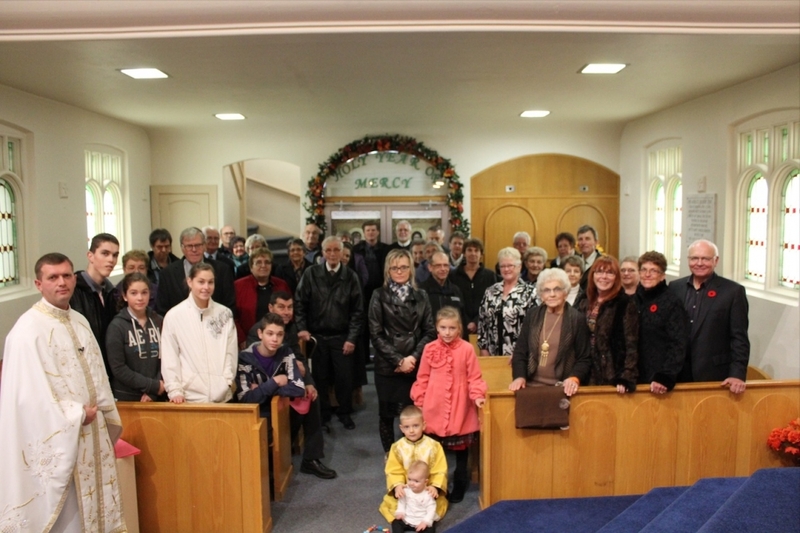 Forty parishioners from the Rossburn district were guided through the five steps leading to the gaining of the Jubilee plenary indulgence (a special grace and blessing from God), during this Year of Mercy. 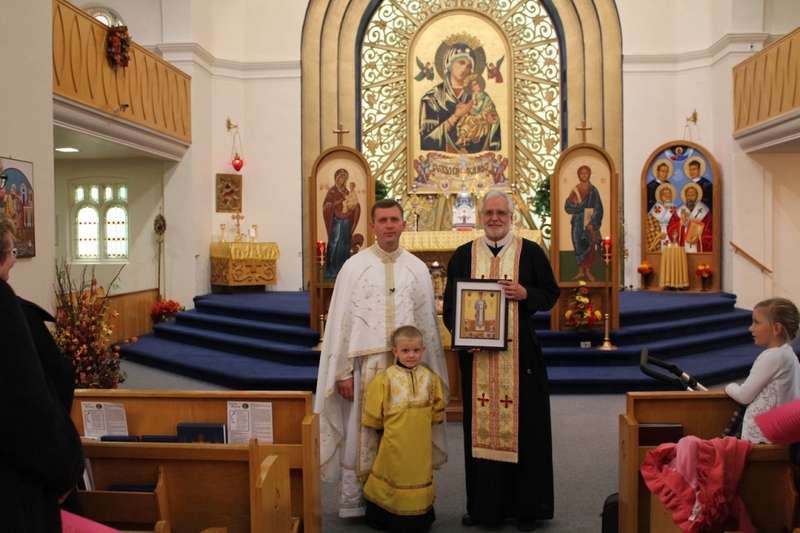 We began by partaking in a Divine Liturgy, celebrated by Father Ray Lukie, CSsR and Father Mykhaylo. We were able to partake in the Sacrament of Penance, a Moleben to the Merciful Christ, and then the ceremonious passing through the Holy Door! After the beautiful service we gathered together for fellowship and enjoyed a lovely brunch at Melrose Place Restaurant! A sincere thank you so much to Father Mykhaylo, Iryna and their beautiful family, for the kind and caring diligence which was displayed in planning and executing yet another fulfilling pilgrimage!